HS2 is the most important economic regeneration project in Britain seen for decades. The new high speed railway will connect 8 out of 10 of the UK’s largest cities and economic hubs. It is the largest infrastructure project in Europe. It will increase opportunities for work and help grow the economy. 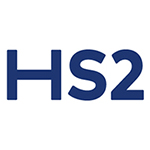 Realising the transformative potential of HS2 requires planning and delivery across many disciplines – including skills.